EURUSD is under the influence of NFP report and the labor market report. The support rests at 1.10590 with resistance at 1.11070 which both lines are below the weekly pivot point at 1.11210. The EMA of 10 is moving with bearish bias and it is falling down towards the EMA of 100. The RSI is rising to 50 level, the MACD indicator is in neutral area and the ADX is showing stronger sellers but there is no sign of strong power against buyers. 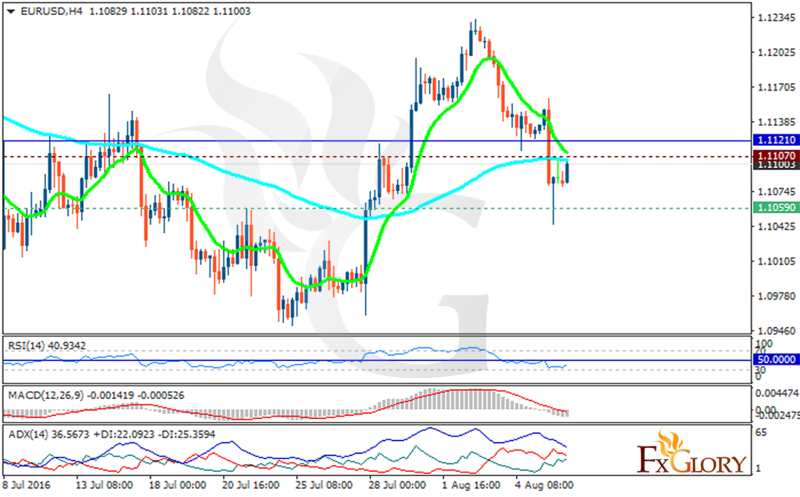 It seems that the pair is not falling below the 1.100 level therefore buyers can make a profit at the moment.